A descendent of the Gwalior Gharana, Ustad Fateh Ali khan comes from a great line of musicians. His training in classical music came from his father, Ustad Ghulam Rasool Khan and his uncle, Ustad Umeed Ali Khan, well known for their music in the subcontinent. Ustad Fateh Ali Khan began performing on Pakistan radio at an early age. Today, he is regarded as one of the best exponents of classical music and has received acclaim both nationally and internationally. Ustad Fateh Ali Khan has performed at numerous international venues, including the United Nations and for the king of Norway. He has been the recipient of many awards, including the President's Award for pride of performance in 1991. Ustad Fateh Ali Khan has a unique style of classical singing and possesses knowledge of a vast array of classical compositions. 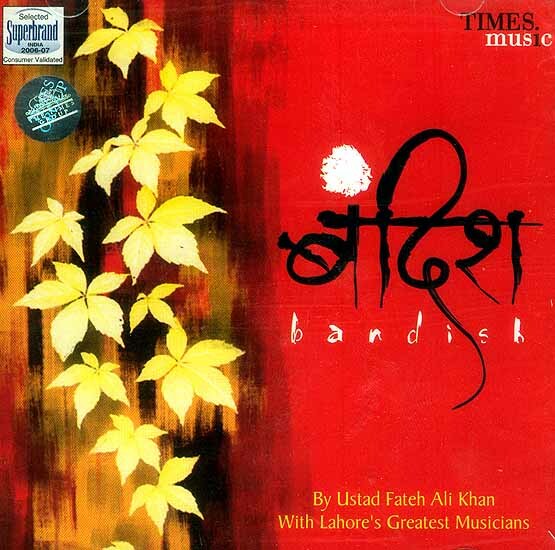 The idea of "Bandish" is to bring classical music to all, especially to the younger generation with full splendour of Ustad Fateh Ali Khan's voice. This is perhaps the first time that such classical compositions have been supported by orchestral arrangements played by the great musicians of Lahore, while keeping the purity of the raga intact. “Bandish” has nine raga-based compositions that make the age- old tradition of classical singing more accessible to many who have lost the need to listen to classical music. It is an endeavor towards something fresh and timeless. Dekho kaisa kaisa naach banaya..